How often do you step back from your day-to-day work to check in and see how things are going with your business? Is your work aligned with your goals? Have things changed? Is there something that needs attention that isn’t getting looked after? 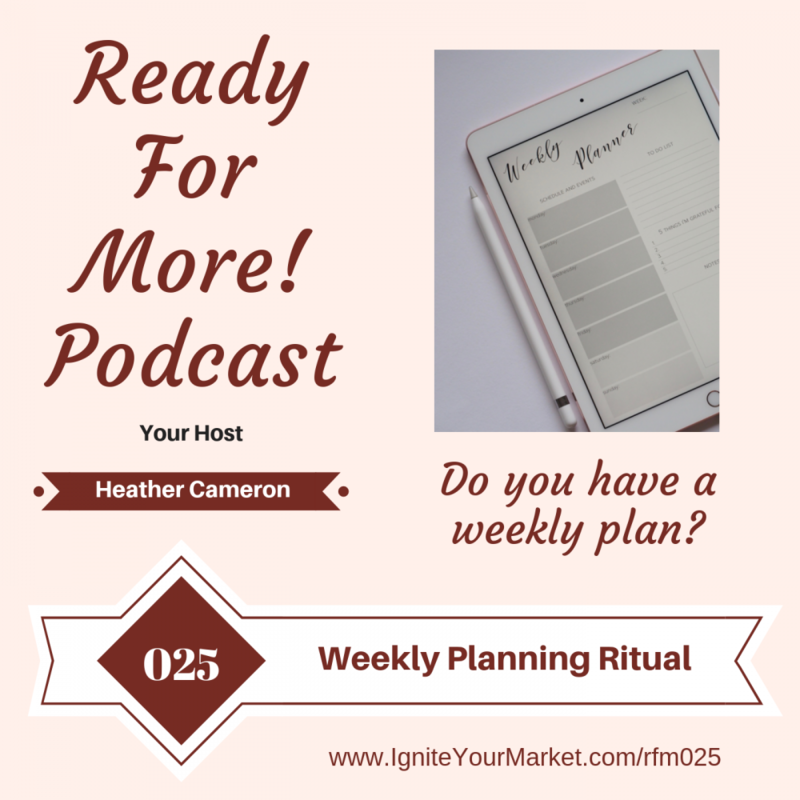 Do you have a weekly planning habit? There is power in having a weekly planning ritual to start a new week and to close off the week. Here are 6 areas to focus on during your beginning of week ritual and 6 questions to ask yourself at the end of your week. Do you have a process/ritual your follow to start and finish each week? Listen to this week’s Ready for More! Podcast weekly tip and learn a simple 6 areas to cover at the beginning of the week and 6 reflective questions to ask yourself at the end of your week. Schedule your marketing activities, including social media. How did the week go? Did you achieve your goals this week? What didn’t work as planned, why and how can you improve on it? What do you want to capture for next week (including putting it in your agenda)? Who do you need to follow up with? What other things do you think should be included in a beginning and end of week ritual? Please share below.